Corrosion generally occurs when metals and water come in contact and oxidation occurs. The Conversation states that surface water tends to be more corrosive than groundwater. There are several causes of corrosion in both surface and groundwater, negative effects resulting from corrosion, and treatment solutions for corrosion control for groundwater. There are several specific factors that can contribute to corrosion in groundwater. Old and deteriorating infrastructure is one cause of corrosion. Soil conditions, seasonal temperature changes and de-icing salts used on roadways can also cause corrosion. Dissimilar metals coming into contact with one another, a process known as electrolysis, is yet another cause of this problem. And, according to the Centers for Disease Control and Prevention, water properties can play a role in corrosion as well. pH Levels — The more acidic the water is, the more corrosive its properties. Rain water is usually slightly acidic, which can contribute to corrosion in pipes. Water Temperature — Hot water raises the rate of oxidation, which can cause corrosion. Chemicals — The chemical composition of the water, as well as dissolved mineral content, can affect corrosion. “Aggressive water” (water containing high levels of carbon dioxide) also contributes to corrosion. Corrosion control for groundwater should be implemented to prevent extensive damage due to the potential negative health consequences. Texas A&M AgriLife Extension describes a variety of health issues corrosion can contribute to. Copper and lead are particularly harmful when leached into the water supply. Specific health issues caused by corrosion can include gastrointestinal problems, liver and kidney damage, high blood pressure, and even mental developmental difficulties in children. Several steps need to be followed to make sure the best program is implemented to treat corrosion. Our municipal and industrial water treatment plans utilize a variety of methods to diagnose corrosion and evaluate the reasons why corrosion has occurred. 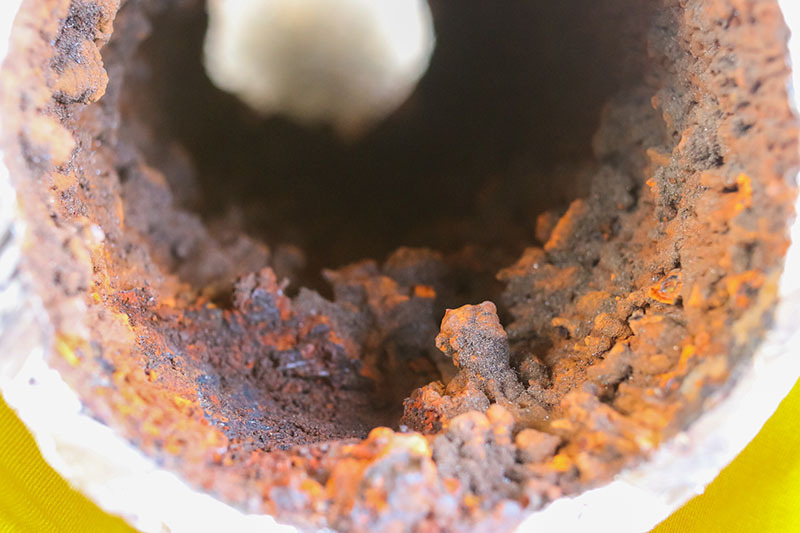 Some techniques utilized in the corrosion control process may include redesigning the plumbing system, adding corrosion inhibitors and making water quality modifications. We may also use cathodic protection and a variety of coatings and linings. Corrosion control for groundwater can be effectively managed and maintained with the right treatment. The consultants at AOS Treatment Solutions can provide on-site testing with state-of-the-art equipment and expertise to determine the best treatment plan to inhibit corrosion in a cost-efficient and environmentally safe manner. Contact AOS Treatment Solutions for more information regarding corrosion control for groundwater.